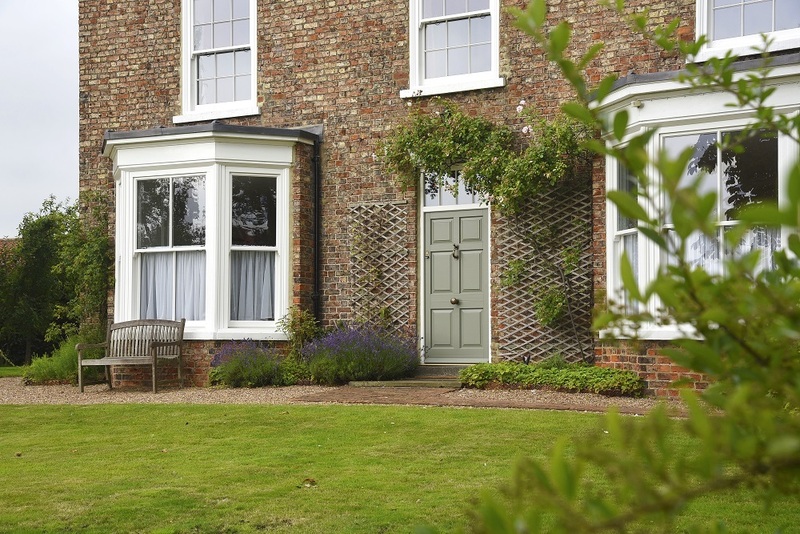 Sash windows in White with 36mm astragal glazing bars, slim sash windows in White with 18mm astragal glazing bars and a Chadlington entrance door with toplight in Tent Grey. 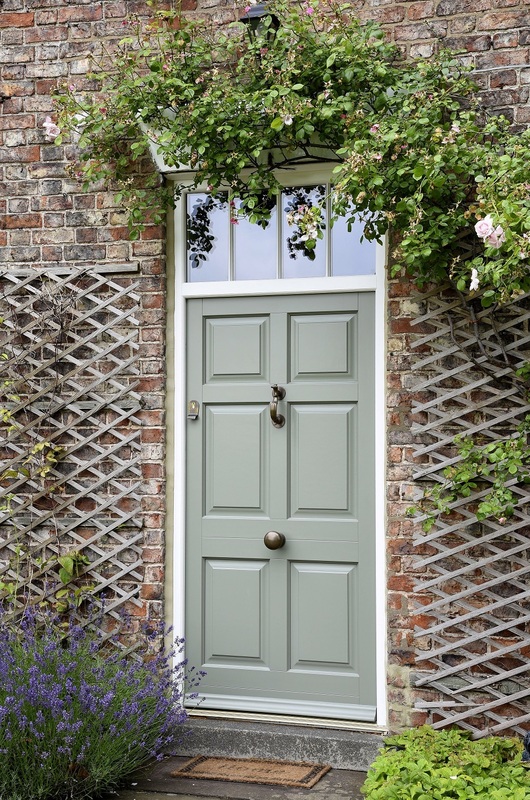 Slim sash windows in ‘White’ and a characterful entrance door in ‘Tent Grey’ with Antique Brass Samuel Heath ironmongery were chosen to retain the period aesthetics of the house. 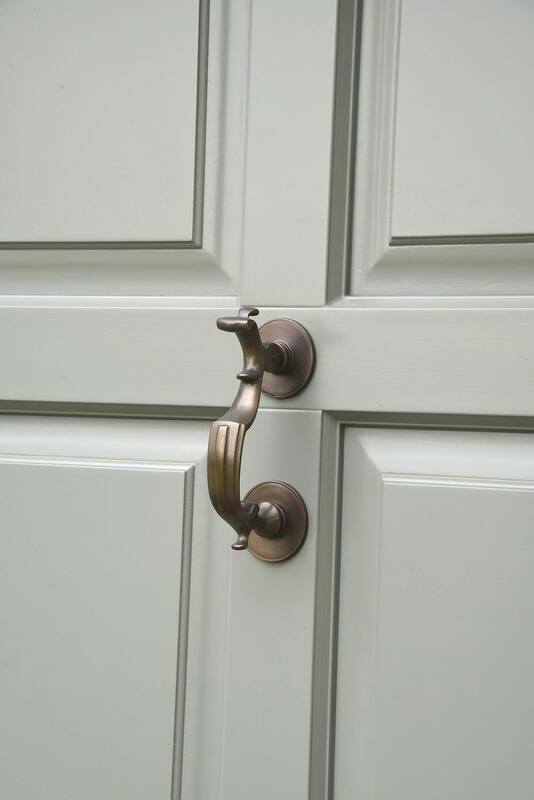 Chadlington entrance door in Tent Grey with Antique Brass Unlacquered doctor’s knocker. Chadlington entrance door and toplight in Tent Grey, with 18mm astragal glazing bars. Antique Brass Unlacquered ironmongery by Samuel Heath. 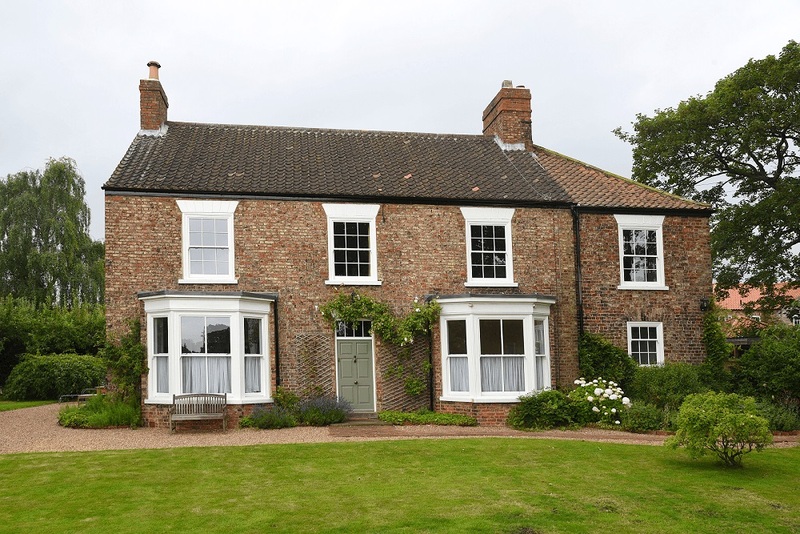 Bottom: Sash windows in White with 36mm astragal glazing bars. 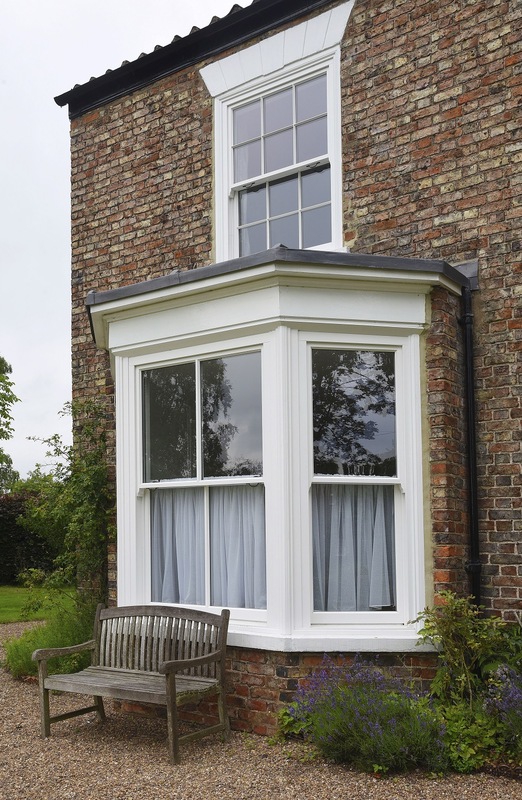 Top: Slim sash window in White with 18mm astragal glazing bars.